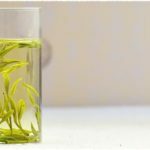 2015 Spring Organic NonpareilShe Qian Dragon Well Long Jing Green Tea and Organic Nonpareil Ming Qian Dragon Well Long Jing Green Tea newly arrived. On the contrary, if you buy Ming Qian Dragon Well Green tea, you can get She Qian Dragon Well Green Tea. And if you buy both She Qian and Ming Qian Dragon Well Long Jing Green Tea, then you can get both Ming Qian and She Qian free samples. Buy more, and get more for free. She Qian: picked before Spring Equinox, the tea is tender and precious. She Qian looks greenish-yellow in color, having an even shape, carrying an intoxicating aroma of dragon well, brisk and sweet taste, revealing a nice sense of spring breeze. Ming Qian: picked before Tomb-Sweeping Day, also a top grade Dragon Well Green Tea. Ming Qian tea looks more yellow and broken with fresh chestnut flavor. 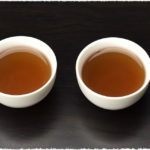 This year, TeaVivre’s She Qian and Ming Qian Dragon Well Green Teas, sharing the same quality grade. 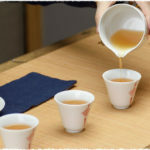 NextNext post:Which spring tea is your favorite?